A quick steak here, a risotto there and then some pan fried salmon – à la carte service demands speed and flexibility. It is all the more important for kitchen appliances to meet this requirement, as long heating periods cost time and cause a hectic atmosphere. With the Rational VarioCookingCenter however, the production process in the kitchen winds down. The appliance heats up from 0 °C to 200 °C in less than 2.5 minutes and holds the temperature even if a lot of cold food is loaded. The mesh-like structure of the patented VarioBoost heating system quickly distributes the heat over the pan base and evenly onto the food. On the command of the built-in cooking intelligence, the system immediately withdraws the heat to prevent sticking and overcooking. Even delicate products such as rice pudding, béchamel sauce or risotto succeed every time with the VarioCookingCenter. “Thanks to the unique heating system, the VarioCookingCenter reaches the desired temperature up to 4 times faster and in doing so consumers up to 40% less power than conventional kitchen appliances,” explains Simon Lohse, Managing Director, Rational UK. Due to the enormous heating power, the temperature remains constant and the meat juices do not run out, which also means up to 17% less weight loss. The Rational family is proud of its newest addition, as it really is an all-round talent. Whether it is boiling pasta, searing meat or deep-frying chips – the VarioCookingCenter replaces a multitude of traditional cooking appliances which creates space in the kitchen. 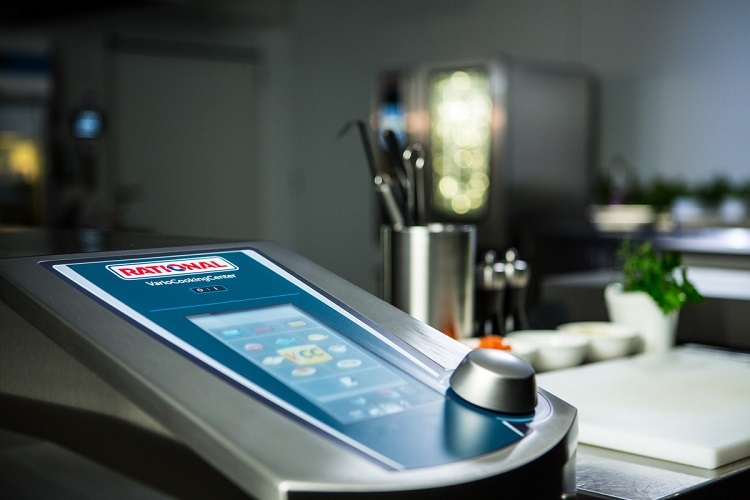 Together with the Rational SelfCookingCenter, it forms a well-established team, which can be operated intuitively by the user due to the same control panel and covers practically every application in the professional kitchen. Visitors to the Professional Kitchen Show can experience the power of the VarioCookingCenter for themselves on the RATIONAL stand 310, NEC, Birmingham 22-23rd January 2019.